LOS ANGELES – A new second in command took over Monday at the Los Angeles County Sheriff’s Department. Murakami replaces Ray Leyva, a department veteran who came out of retirement to help Sheriff Alex Villanueva‘s transition. Since Villanueva’s upset victory in November, the new sheriff has replaced much of the department’s executive staff. He elevated Murakami to assistant sheriff from the position of captain of the department’s Industry Station, according to The Times. 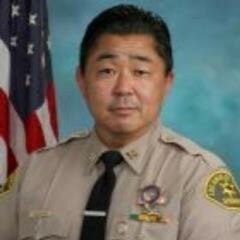 3 comments for "Murakami named L.A. County Undersheriff"
This Department is truly on the verge of imploding. It has eaten itself to the core with abuse of power, cliques, fraternization, cheating, lying, nepotism, and an ad nauseam of other verbs and adjectives that could be used. The Justice Department needs to investigate and monitor the cesspool known as the LACSD.